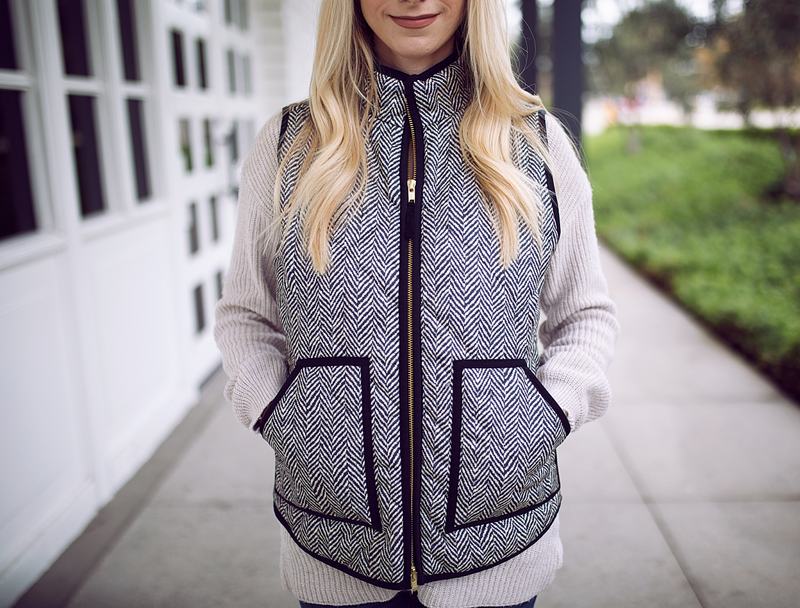 Today I wanted to share this vest from J Crew Factory that I love so much. Sure, you might have already seen it before or even own it yourself, but believe me when I say that it is a true closet staple! 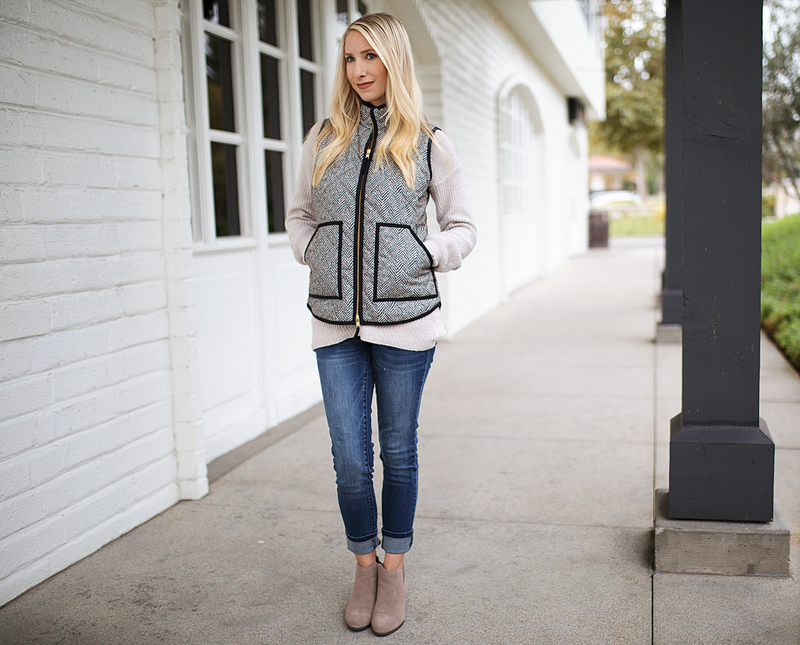 It’s cozy, versatile, and can be worn with so many different kinds of Fall or Winter outfits. Plus, it is currently on sale for under $35 and worth every penny! I heard that it runs a little big, so I decided to go with an x-small and think that it fits me perfectly. I’m not really into mixing different patterns, so I decided to go with neutrals for the rest of this outfit. 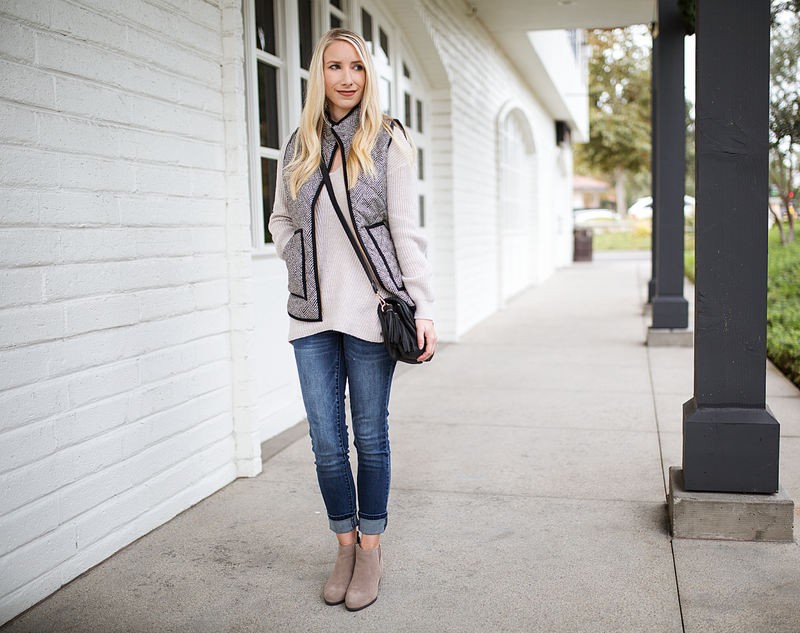 I paired it with this long sleeve top from Nordstrom (runs large, order one size down) and with my favorite pair of denim from 1822 Denim. 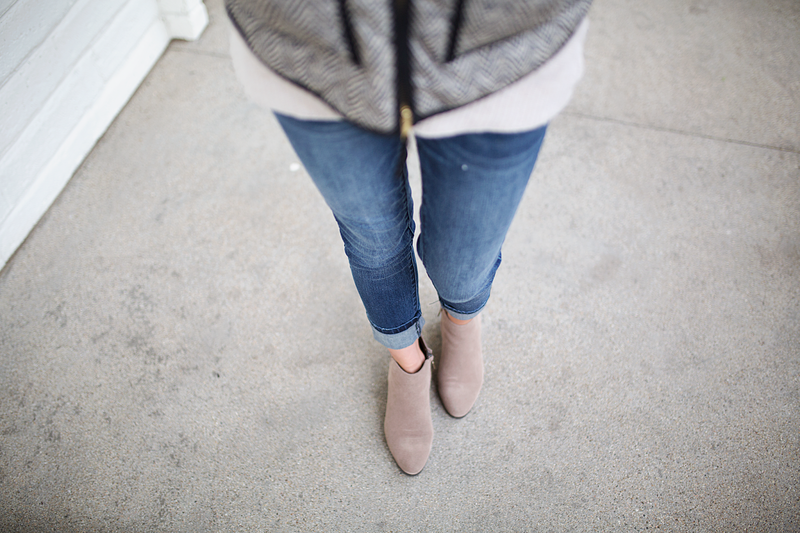 I also wore my favorite neutral pair of booties from Blondo. As always, let me know if you guys have questions! Happy weekend!